(Newser) – Women in Hollywood have been speaking out in droves against Harvey Weinstein and others, but one famous female is taking a different tack, noting, "There are two sides to this coin." Angela Lansbury thinks women "must sometimes take blame" for sexual misconduct perpetrated against them, the Telegraph reports. 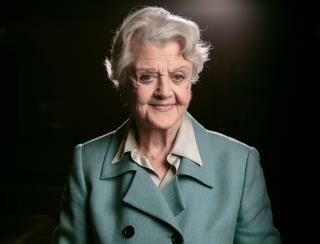 "We have to own up to the fact that women, since time immemorial, have gone out of their way to make themselves attractive," the 92-year-old actress, best known for her TV series Murder, She Wrote, said in a Radio Times interview. "And unfortunately it has backfired on us—and this is where we are today." I overheard a young female department store employee (wearing a really low-cut top) making the comment to some guy that "my eyes are UP HERE!" while he was talking to her. His response was, "if you're going to put the puppies on display, I'm going to look!" It's so rare to read some common sense on this matter. Thanks Angela!